Only post Lancaster pictures here. Discussion in 'The War In The Air' started by David Layne, Sep 17, 2007. Look at the rust on the trailer carrying the bomb! There is certainly something about the Lancaster; one flew over my house in Kent a couple of months ago; quite something. Pencil drawing to commemorate trip to La Spezia Italy. 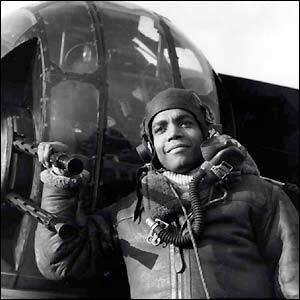 Sgt LO Lynch from Jamaica, winner of the Air Gunner's Trophy for 1944, standing by a Lancaster bomber. I immediately recognised the City of Leeds as the location for the Lancaster on display. To the right is Quarry Hill Flats, now gone forever after being completed just in time for the outbreak of the war.In the foreground is Mabgate which was on the route to Roundhay Park.The display aircraft is situated on the verge of the City of Leeds Bus Station, quite modern in its time. I think the pub in the left foreground was the Marquess of Granby,it too may have been redeveloped. RF 325, the last Lancaster in R.A.F. service. Picture taken on its last flight to the breakers yard. Thanks for the local update on the picture of R5552. The photograph was taken in Leeds during the "Wings For Victory" week that commenced 26/6/1943. 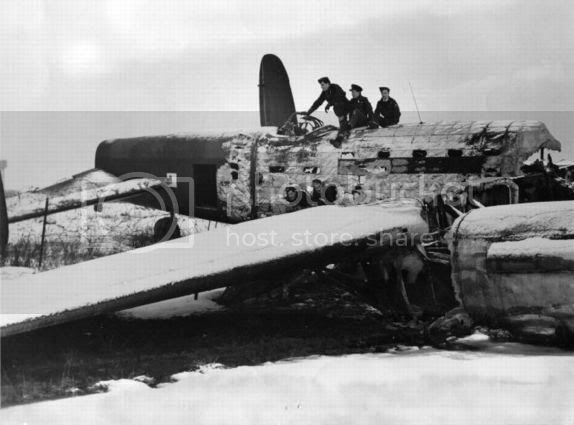 After "Wings For Victory" week R5552 was transferred to 166 Squadron and was lost on 21/12/1943 on a raid to Frankfurt. 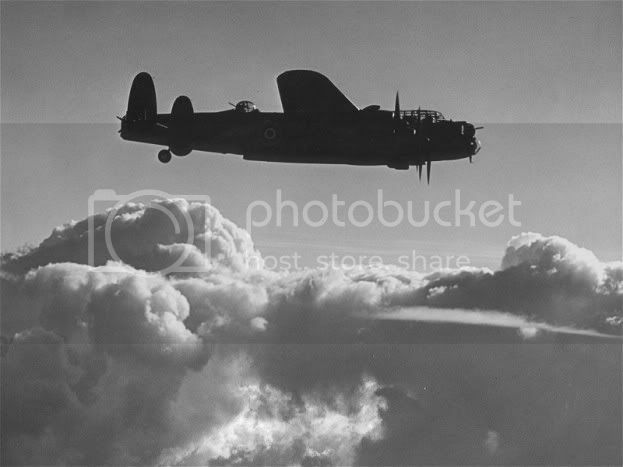 Interesting to note, this Lanc was 1 of 200 Mk2's delivered between Sept 42 and October 43 by Armstrong Whitworth. DS848 served with 432, 426, 408 Sqns and then went to 1668 Conversion Unit before being struck off charge on 5th April 1945. 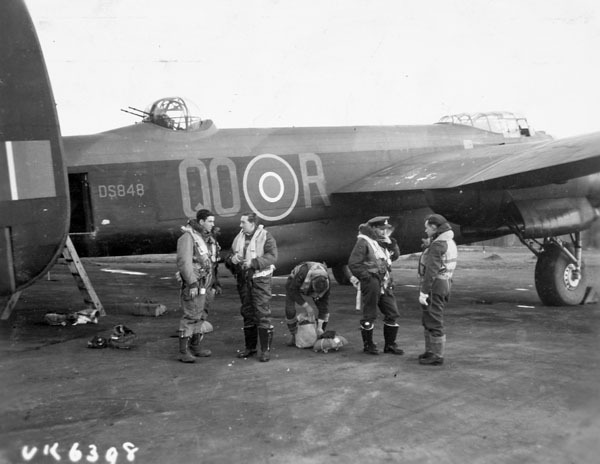 British former prisoners of war prepare to board an Avro Lancaster B Mark I, PB934, of No. 582 Squadron RAF at Lubeck, Germany, for repatriation.